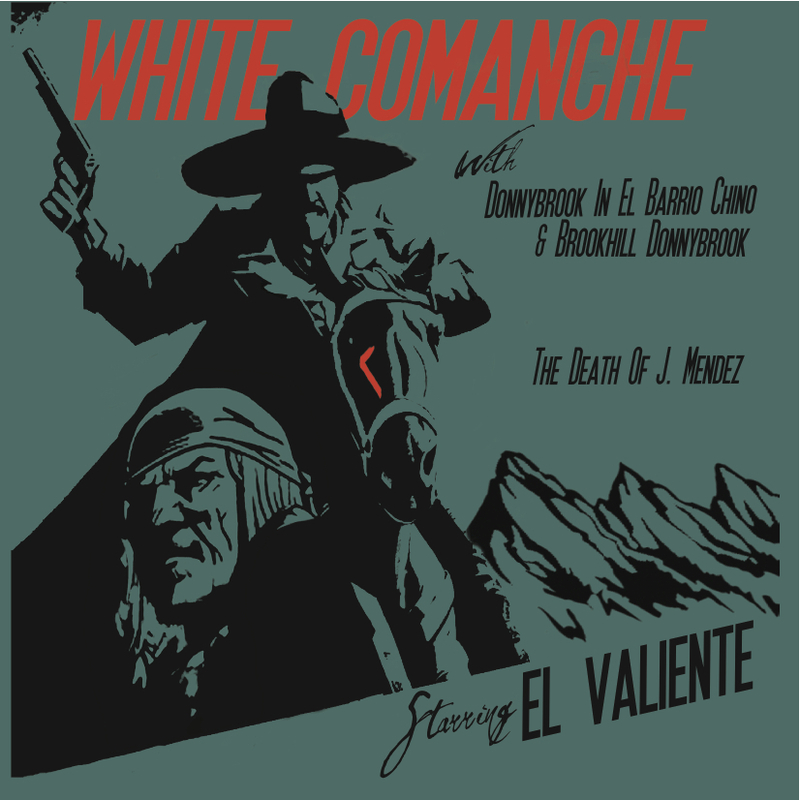 White Comanche is El Valiente’s third release, folloing on from El Topo (2007) and Daceton (2009). This is their shortest album to date with 3 songs which is just under 30mins in length. It is also the first recording with new Bass player Kris Hansen. This album has El Valiente all over it, they have a sound that they seem to have captured all to themselves. The other two members of El Valiente, Eric Caldera (guitar) and Joe Bernstein (drums and glockenspiel) complete the trio. What i like about El Valiente is the complexity of the playing, whether its the guitar riffs or the drumer playing drums and glockenspiel at the same time. The first song on White Comanche is the title track and it starts off slow with guitar, bass then glock but it is not long before there is a change in tempo or complexity in the playing, it is a mixture of jazz and music from sounds like it could also be a part of a spaghetti western movie. They have this sound all to themselves and that is what sets this trio apart from other bands in the ‘post-rock’ ‘experimental’ music genres. The other two tracks Donnybrook and The Death Of J Mendez are equally full of twists and turns in tempo and melodies as the first track. On a first listen to this album you would tend to think that the music is all over the place, but on subsequent listens it all makes sense and there does seem to be cohesion in the structures of the songs. I really like this album and that is why it is the Fade To Yellow record of the week this week. Go check it out!! This entry was posted on August 29, 2012, 9:39 pm and is filed under Playlists. You can follow any responses to this entry through RSS 2.0. You can leave a response, or trackback from your own site.